Prior to the project kickoff meeting scheduled for next month, project goal, purposes, objectives and organization should be defined for us to gain approval from the project board members. Prior to the (A)planning project kick-off meeting next month, we (B)will define the goal, aim, target, and organization(C), and then need to get the project board members' approval. 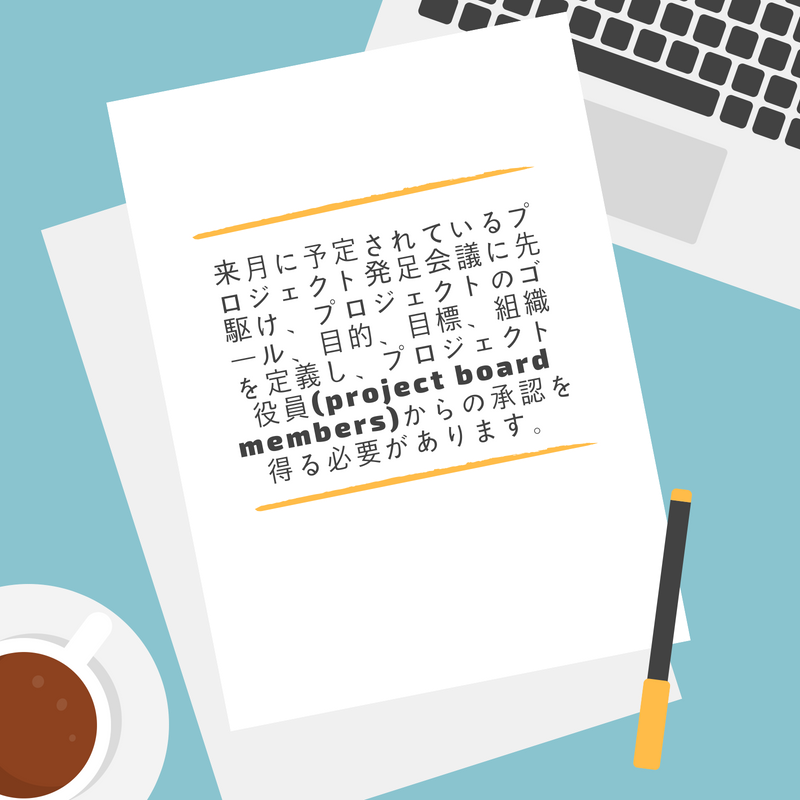 Prior to the project kick-off meeting (A)that is planned next month, we (B)need to define the goal, aim, target, and organization (C)so as to get the project board members' approval.